Fruits are good for your skin just like they are for health. Use apple juice on your skin as it is an excellent skin toner. 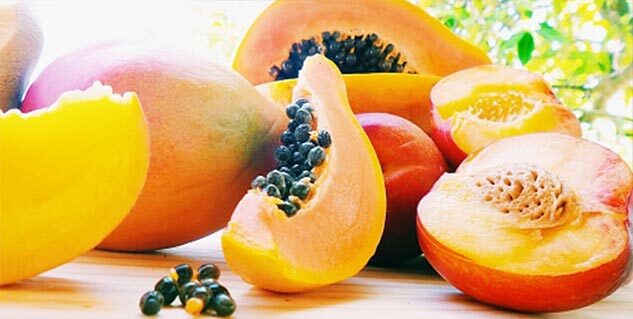 Papaya is rich in Vitamin A and is good as an exfoliating agent. 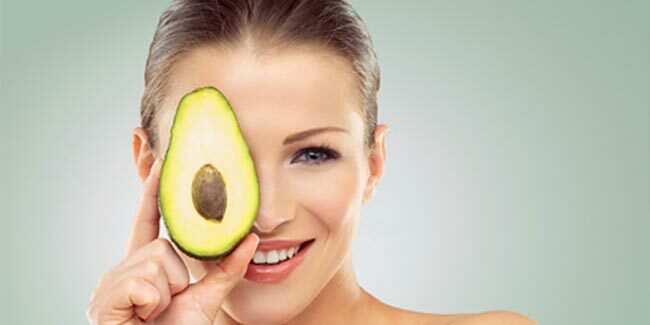 Avocado can be used to reduce the puffiness around your eyes. Fruits are good for your health, they are also good for your skin and beauty. The different fruits that you get in the market can reap fruitful benefits for your skin. Fruits are good for health. We all knew that. But they are great for your skin, your face, and in general for several beauty treatments; and not all of them involve eating the fruit. They’re natural, do not have harmful chemicals, and one doesn’t have to look very hard to find them. That is why fruit treatments are a very healthy and effective way to home groom ourselves. Here is our pick of our top five favourite fruity beauty treatments. Read on. The apple is an excellent skin toner. Add one cup of apple juice to your bath water to help soften your skin. If you use it in the final rinse while you shampoo your hair, it acts as an anti-dandruff agent. An apple a day, indeed! Aside from making a breakfast healthy, bananas make our skin and hair supple too. Mash up a banana, apply it all over your face, and leave it for about 20 minutes. Rinse off with lukewarm water, and moisturise for smooth, beautiful skin. For using as a conditioner for the hair, mix some mashed banana with a little honey and apply evenly to hair after you shampoo. Rinse well, and what you’re left with is glowing shiny hair. Rich in Vitamin A, use mashed papaya, mixed with aloe vera gel once a month as an excellent exfoliating agent. Leave the mixture on your skin for about 5 minutes and rinse thoroughly. If your skin is sensitive, be careful to not leave it on too long for the first time to ensure it doesn’t irritate your skin. Sufferers of dry skin, celebrate! Mash a ripe peach, mix it with curd, add a few drops of rose water, and make a smooth paste. Apply on your face and leave it for about 20 minutes. Rinse with lukewarm water. That should bid goodbye to dry skin for a while, leaving it moisturised, supple, and smooth. These are excellent for reducing puffiness around the eye. Apply a peeled slice of avocado under each eye for 20 minutes to reduce redness, irritation and puffiness. For people with oily skin, a face mask made by mixing half an avocado (mashed), the white of one egg, and one teaspoon of lemon juice will do wonders. Leave on for 20 minutes and rinse.